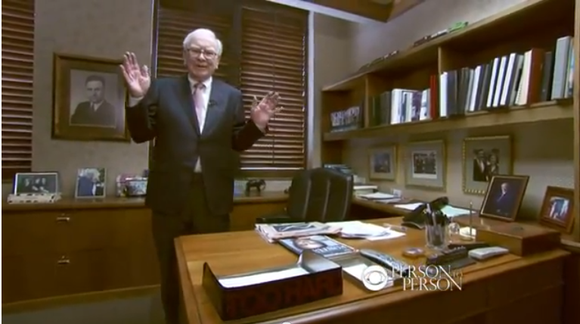 Warren Buffett has been using this same office for over 50 years, and it probably looks much the same as when he first moved in. Buffett has an old-fashioned newspaper on his desk — I think that’s where he gets his stock quotes every morning. Maybe he still quotes his share prices in fractions. He has a tray on his desk labeled “TOO HARD”. Charlie Munger has one too. If Warren Buffett owned a computer, it would sit in that tray. The “TOO HARD” tray always bothered me because I thought it meant that Buffett had given up on learning. This is not the case. Buffett avoids technology stocks, but not because he doesn’t understand technology. He avoids investing in tech companies because he is a long-term investor, and he acknowledges that he cannot understand the predictability of the tech landscape in the long term. Being aware of what you don’t know is more valuable than being aware of what you do know. It’s not that they gave up on learning, it’s that they recognize there is so much left to learn. Many things in life are TOO HARD right now. Identifying what those things are is the first step to making them NOT-TOO-HARD in the future. Hagstrom, R. The Essential Buffett: Timeless Principles for the New Economy. Wiley & Sons, 2001.